One of my goals for 2018 is to read 30 new books and I thought it would not only keep me accountable but also be a great way to share book ideas with you! I already somewhat kicked off this series at the end of 2017 with my post recommending books to read over the holiday period, which you can read here. So let's get into the books I've been reading so far in January 2018! I found a new favourite author in Gabby Bernstein and polished off two of her books lately! The most profound was definitely this book because it completed changed my mindset to take my foot of the pedal and trust in the universe. I'm a huge believer in the law of attraction and how what you put out into the universe directly comes back to you so this book made me believe even more. It talks about the things you might see as crazy coincidences but they happen all the time based on the way you live your life. It talks about ways you can use this power to your advantage and lead a happier life. I'm almost ready to re-read this one just to refresh again and really let the message sink in. So the second book of Gabby's I read was this one and while it follows a similar concept to the first book, it's definitely set out in a different way. It provides you with daily practices that you can incorporate into your life to actively work on strengthening your ability to trust in the universe. It's full of calming practices, meditations and methods of dealing with situations. It's a great how-to guide if you're looking for ways to actively change your lifestyle and coping mechanisms. This well written and witty autobiography is a comedic take on Russell's life despite the many dark and difficult situations he has endured. I always find it interesting reading a persons story and I particularly enjoy Russell's work and agree with a lot of his outlooks on life. So I was extra interested in understanding what situations shaped him to become the person he is today. Despite the difficulties he has been faced with, he explains them with such humour that it seems less heavy. I would highly recommend picking this up as an interesting read that will definitely have you laughing. I also have heard great things about the book 'Big Magic' so will be looking into that one shortly also. 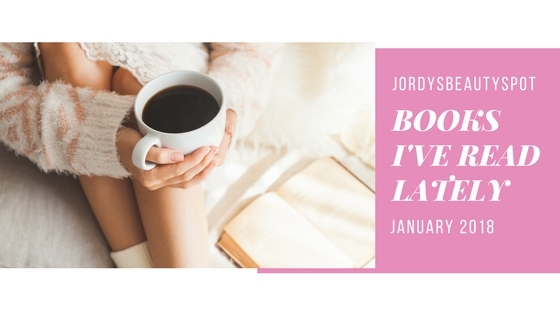 As always, I'm most definitely open to any book suggestions you might have so feel free to drop me a line @JordyCannon on Instagram, Twitter or Facebook. Otherwise leave me a comment below.